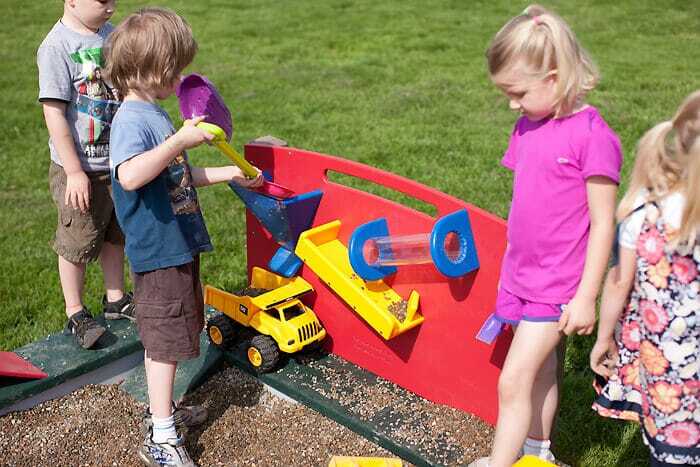 Add the Gravel Panel to the Truck Pit for increased learning and fun in your natural preschool playground. The Gravel Panel Add-On provides three different chutes for the gravel to travel through and fill the trucks and containers below. Pouring gravel through the Gravel Panel allows children to observe and demonstrate directional words—in, out, on, off, here, there, beside, next to and between.